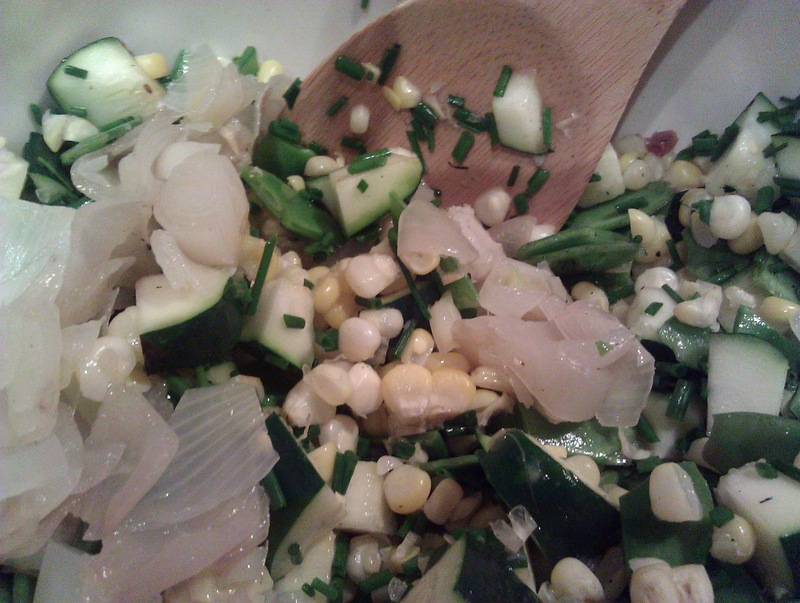 There is also zucchini and chives in the basket. My sister sent me a Italian zucchini and corn salad recipe. I am inspired to come up with my version. 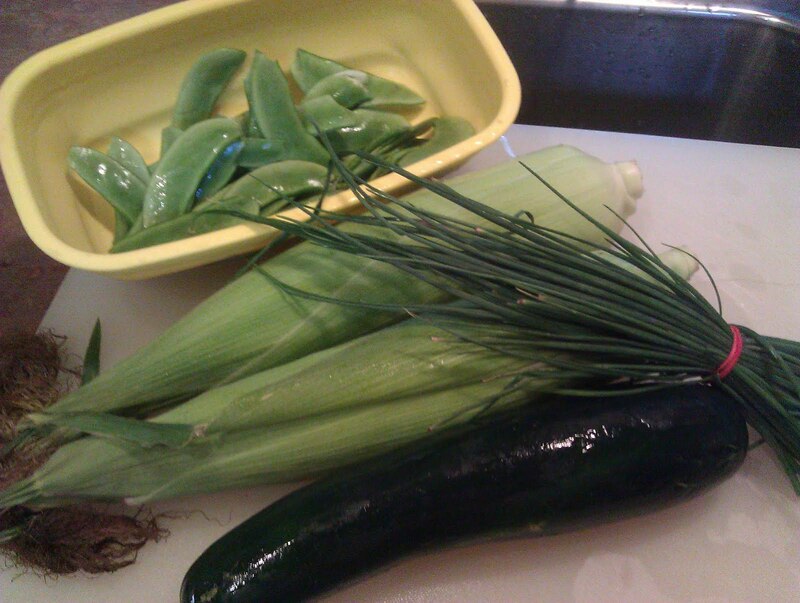 2 ears of corn. 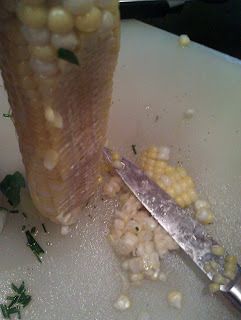 or you can use 3/4 cup off frozen roasted corn from Trader Joe. 1 med Zucchini, washed cut lengthwise in half. 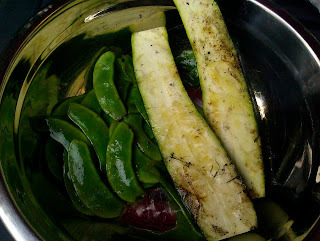 1 cup of pea pods, clean, remove the stems and the ends. Pull the string off. (You may not find any string, depending on the variety. Brush the zucchini with olive oil, sprinkle with salt and pepper. 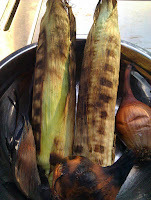 Prepare the grill to med high heat till hot. 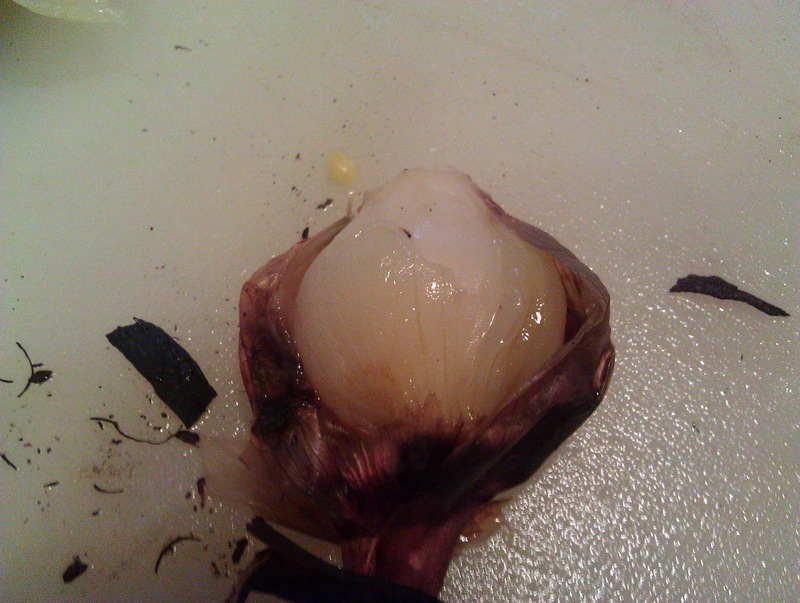 Place whole shallots on the grill for a few seconds, turn the heat down to med low. 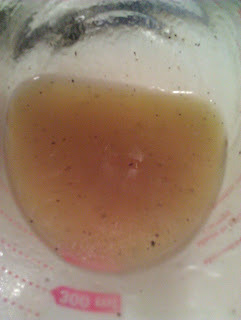 Cover and cook for about 5-8 mins. Turn once. 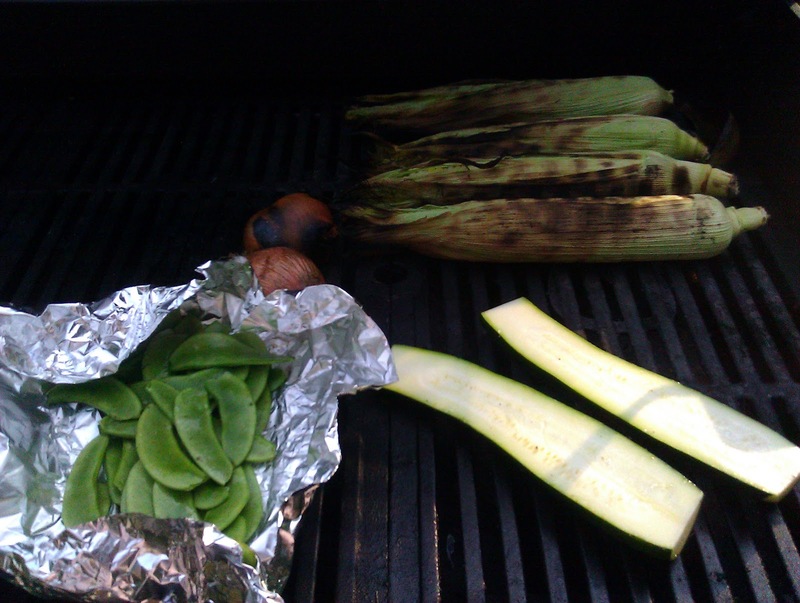 Leave on the cooler part of the grill when you prepare the rest of the vegetable. 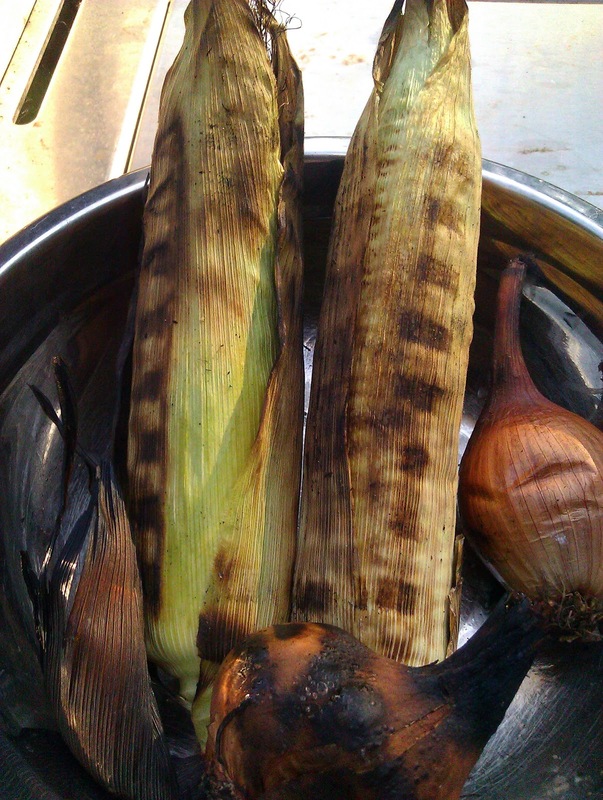 If you are grilling the corn. 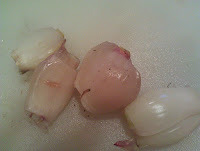 I would suggest putting the corn in at the same time with the shallot. Fresh corn does not take long to cook. 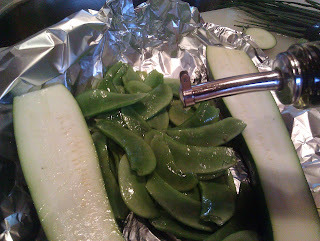 Grill the zucchini lightly about a min on each side to have grill marks. Cut up the pea pods in bite size. In a small bowl, squeeze the juice from the 3 key limes, add 2 tablespoon of honey. 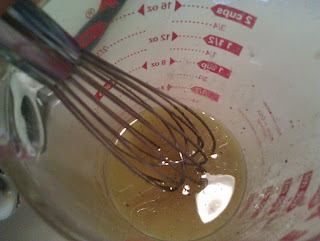 Slowly whisk in the remaining 4-tablespoon of olive oil then the vinaigrette comes together. Slowly drizzle the dressing over the vegetable. Toss, cover and chill in the fridge for about ½ hour till cold. Great job! I was just telling my hubby I miss my big George Foreman grill I had before moving. I didn't have to heat up the grill if I was just making a few things and we don't have the propane type I had back home. Onolicious! I had a Foreman grill too. 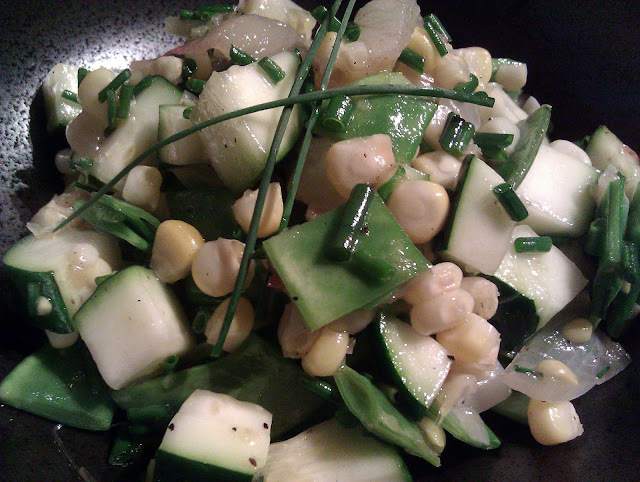 It worked well for small things such as grilled vegetable. I was not too crazy with fish or meat. My all time favorite is still my good ole charcoal weber. I still use it for some smoking. "Da gas grill" was my brother-in-law's. I bought it from him when they moved to the Islands. It's a bit big, but nice to have for parties and with our crazy hot summer, I really enjoy cooking outside.